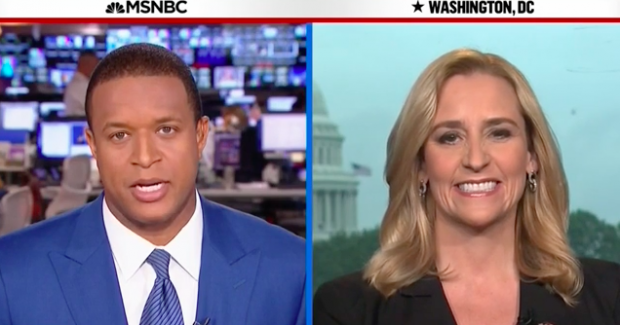 Arkansas Attorney General Leslie Rutledge had a rough time of it this week in an interview on MSNBC with host Craig Melvin. “It is sad that we are discussing this,” she said. But there was something far worse than the sadness of the interview topic. She hadn’t done her homework on all of Bill Clinton‘s exes because when she tried to counter Melvin, she blanked on her bad boy talking points. Nice save. But she still sounded pretty dumb on national TV. “As a woman I can assure you that Hillary Clinton offends me,” she said. Apparently this isn’t a first for Rutledge. The Arkansas Times reported that she recently got “torched” when defending Trump to CBS. The reporter said she was short on facts and evidence.